The first meeting with a potential prospective client sets the tone for therapy. A lot happens in a short space of time: We meet the person, listen to their story, give information, make an assessment and negotiate the future therapy contract. Most important of all perhaps, we attempt to engage the prospective client therapeutically and establish a relationship – one that is “experienced by the client as being increasingly trusting and trustworthy” (Spinelli, 2007, p.132). Of course the nature and format of the first session varies considerably depending on the individuals concerned and the context (institutional, cultural and theoretical). As therapists, we develop our own preferred style and routine building upon on our particular style and orientation. This chapter discusses some of the practical and relational issues at stake in this phase of early contact. Stern uses the lively metaphor of animal-like sniffing-out through “intersubjective searching, improvising, and co-creating” (2003, p.25) to describe the early contact period where therapist and client check out whether or not they can work with one another. In this process, we attend to overt clues which spring from explicit conversation and also implicitly through body language. As therapists, we note those subtle sensings and inferences that emerge intuitively at intersubjective and transferential levels. As the prospective client tells their story we are pulled in, alert to emergent issues and vulnerabilities which might in time become the therapy focus. In collaboration with the client, we co-create a ‘story’ which describes the person’s current relationships, challenges and way of being. What is it the prospective client is struggling with? What life issues are currently figural? Simply describing experience – and being witnessed — can be powerful and potentially transformational. In this initial contact I might also offer some validation, for instance, reassuring the person that they are not “crazy” and offering hope that therapy can help and they will gain something. Focusing on the here-and-now relationship, one key question to explore is the extent to which the client’s way of being-in-relationship (with me, the therapist) is similar to – or different from – their relating outside the therapy room. This would be the start of seeing the therapy space as a microcosm of the person’s world and habitual ways of being or of using therapy to try new ways of relating. Many practitioners, particularly humanistically-inclined integrative therapists, prefer to embrace intuitive, phenomenological ways of seeing rather than focusing on diagnostic categories. In dialogical, person-to-person spirit (Hycner, 1991/1993), we prefer to be unknowing and open to our client and we believe that people are infinitely more complicated and contradictory than any label suggests. We are concerned to do “justice to the way clients live their lives, rather than to eradicate specific problems or focus on particular symptoms” Deurzen & Adams, 2011, p.1). diagnosis is not a description of the person in front of us, it is merely a tool that enables us to organize meaningfully our experience with this person and so helps us to be grounded and present for an encounter. Diagnosis becomes figural where it offers a kind of clinical ‘map‘ of possible perspectives (Roubal et al, 2013). Beyond diagnostic formulations, therapists (across modalities) are also alert to risk. Is the client in danger of harming themselves, or contemplating suicide? Is there a history of trauma and abuse? Are any child protection issues at stake? What social supports do they have? What self-care do they engage? Some practitioners will have specific risk assessment forms they are required to go through with the client and/or they might use other standardised assessment protocols (e.g. following the CORE system – Clinical Outcomes for Routine Examination). Some therapists prefer to use more structured, form-based goal-setting techniques which can be utilised later in evaluating outcomes of therapy. See, for instance, the Simplified Personal Questionnaire Procedure by Elliot et al (1999) or PSYCHLOPS by Ashworth et al (2004). Support – the individual may be struggling to cope, for instance, post-bereavement and be seeking some extra (often time-limited) support. Psycho-educational – the person may be asking for help with how to cope with specific issues such as their anger or panic attacks. Crisis intervention – after a traumatic incident (such as an assault or accident), the person might benefit from debriefing, support, practical advice as well as longer longer-term work with the trauma and post-traumatic stress. Existential decision-making – Some individuals enter therapy to explore and examine life decisions or dilemmas, such as whether to leave their marriage or to change careers or have optional surgery. Insight, understanding and self-acceptance – Some people seek a more open exploration of their self-identity, needs, thoughts and feelings. Relational dynamics and developmental needs – Some prospective clients recognise that they feel ‘stuck’ and seek longer term psychotherapy, for instance, to work with their chronic insecurity or problematic patterns of relating to others. Every therapist engages the contracting process in ways that fit the context and people concerned – there are no blanket rules. Much depends on the context, be it private practice, public health care or the voluntary sector. However, there are things to consider and also the process of negotiating the contract can be revealing. The contract has practical and ethical functions and can be seen as a concrete symbol of the intention to hold and contain the therapy process safely and professionally. Sometimes a written contract specifying issues to do with attendance, confidentiality, risk/safety and ethics/informed consent can be useful. Primarily contracts are concerned with boundaries and limits but this is more about engaging practices to do with ‘safety’ and ‘mutual respect’ rather than imposing ‘rules’. Here the terms re: payment of fees and what to do about non-attendance need to be specified. In my own practice I also clarify limits to confidentiality, for instance saying that if there are health concerns I may contact the client’s GP/referring agencies or if child protection is an issue social services may need contacting. Beyond practical, instrumental considerations, the key processes at stake during this phase of early contact involve tuning into the person’s world and relationship building. Relationally speaking, our main task in the first meeting is probably to provide a prospective client with a sense of boundaries, trust and hope: They need to begin to experience the relationship as a safe, trusting-trustworthy space, and hope is what brings the person back for further sessions and makes investing in therapy worthwhile. Don’t you agree that it is important that the client feels they have gained something from the first session (be it hope, insight or some initial nourishment) so that it might be worth coming back? Perhaps they found it helpful to tell their story and have it witnessed? Perhaps they appreciated being told they are not “mad”? Moursund, J.P. and Erskine, R.G. (2004). Integrative Psychotherapy: the Art and Science of Relationship. Victoria, Australia: Thomson/Brooks Cole. [For a selection of published articles, also check out, Erskine (2015 Relational patterns, therapeutic presence: Concepts and practice of integrative psychotherapy. London: Karnac]. 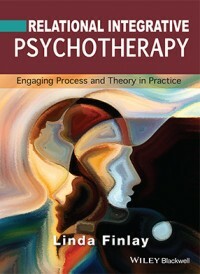 This offers invaluable advice for this early stage of therapy in their chapter 7 on ‘Beginning the work’. Beyond instrumental concerns, they emphasise the importance of maintaining a healing presence. 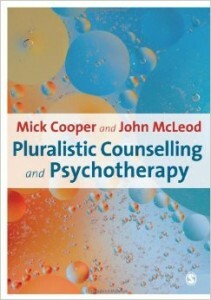 This offers a useful chapter on establishing client goals in pluralistic counselling and psychotherapy.